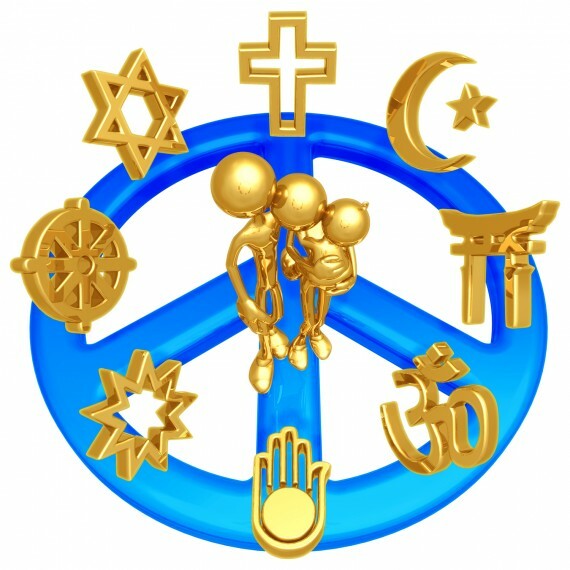 In a perfect world, we would all live together in peace and harmony where each individual is accepted for who they are and what they believe and not judged because they believe in something different from others. I realize this is a childlike view of life, and probably not completely possible, but it is a worthy goal for any society to attempt to reach. I want to live in a world where individual freedom is cherished above all else with the understanding that with that freedom comes responsibility. I want to live in a world where freedom of religion is cherished by all and no one is attacked or ridiculed because of their beliefs and everyone respects each other’s right to believe in their own way. 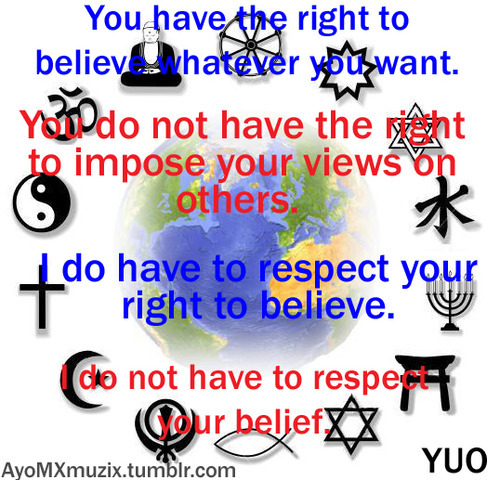 That does not mean we have to respect what they believe, but we do have to respect their right to believe so! 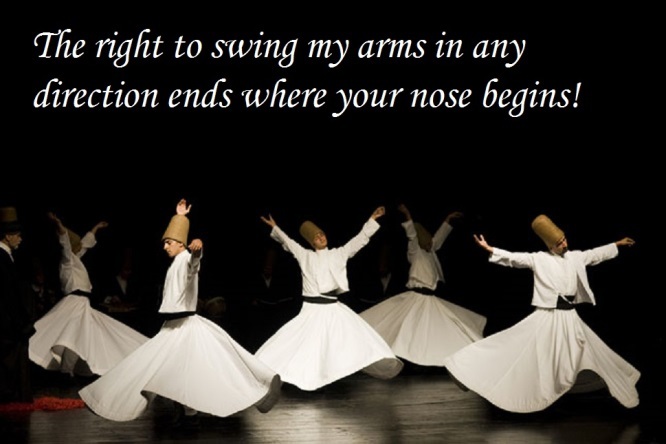 I want to live in a world where no one is expected to fight or kill for their religion or be rewarded for such. Where war and killing in the name of ones god is seen as a crime against humanity and not tolerated. A true God would never ask his believers to kill in his name… a true God does not need mere men to fight his battles! If the other side was meant to suffer and die, a true God would take care of them with a single swipe of his hand and not ask his followers to fight and die for him. 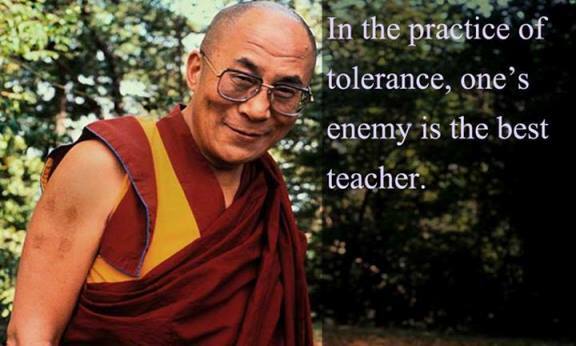 This is what The Tolerance Project is all about. It is an idealistic attempt for all of us to seek a common ground; a starting point, if you will, for the dialog that we all must have. There is no longer room for all the hate in this world. 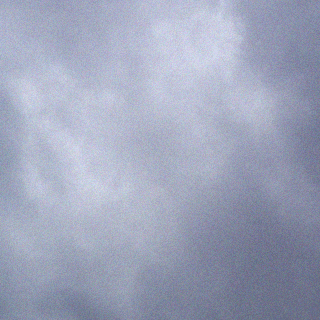 Hate is driven by fear… fear of the unknown. So, let’s talk. Let’s end the fear and begin educating ourselves on that which we fear. With an open mind and open heart we can defeat hate… but are we all able to do this? 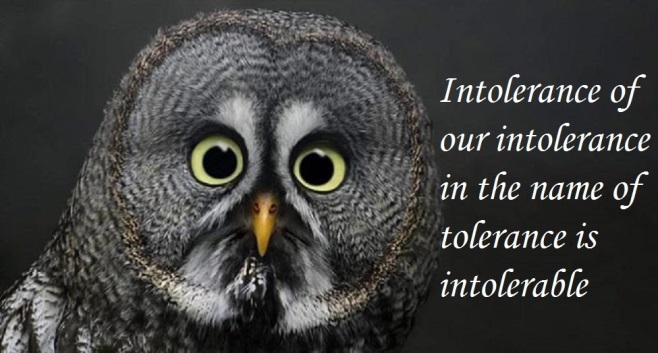 The Tolerance Project is an effort to provide a forum for all beliefs to air their discontent in a civil manner and hopefully walk away with the knowledge that their beliefs and feelings have been heard and acknowledged. This is not a forum to shove your beliefs down someone’s throat and please do not expect everyone here to agree with you, but do know that everyone acknowledges and respects your right to believe so. Your responsibility, once you have aired your feelings, is to allow all others to do so also, and to acknowledge their rights to those beliefs.